Why are children becoming more short-sighted? Why are our children becoming more Shortsighted? By 2050, it is estimated that 56% of Europeans will be short sighted. The number of people with myopia (short sight) is rapidly increasing within our nation and as a species. In 1958, 10-20% of the population of China was myopia. In 2012, this figure had risen to 90% of the population. Europe and the UK is quickly following suit. Researchers and practitioners are starting to call this huge change an epidemic. More of us being short sighted, so what? Having moderate and high short sight brings complications. The risk of eye conditions such as glaucoma, retinal detachment, myopic macular degeneration and poor vision greatly increases in shortsightedness. In the UK, poor vision due to myopia is the third most common cause of irreversible blindness in older age. A person who is short sighted by -6.00 is 40x more likely to develop myopic maculopathy (poor central vision) than someone who is not short sighted. We can also consider the expense of treating these conditions to the NHS and the ongoing costs of spectacles and contact lenses to the patient. Moderate and high myopia can cause serious issues and is something that we really want to avoid. There is a huge amount of ongoing research into myopia and myopia progression. If we can reduce and stop people becoming as shortsighted, we can reduce the chance of eye health complications, poor vision, cost and inconvenience of spectacles and contact lenses and improve quality of life. 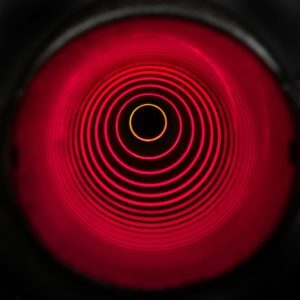 Key driving factors for short sight are emerging from this research. Our lifestyles are thought to be a major cause. 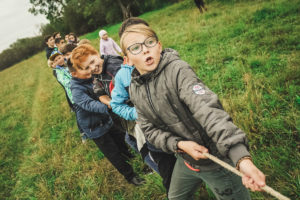 Increased near work and close activity as children, combined with less far distance and outdoor activity, are believed to be a great contributor. The reasons why are still being researched. Another risk factor for short sight is genetics. If one parent is short sighted, a child is 3x more likely to be myopic. If both parents are short sighted, a child is 7x more likely to be myopic. Myopia control are methods that Optometrists, Ophthalmologists and Contact Lens Opticians use to slow the progression of myopia in children, based on firm clinical research. Myopia control takes on 4 major forms – education on lifestyle, Ortho-Keratology (Ortho-K) fitting, MiSight contact lens fitting and varifocal/bifocal spectacle lens fitting. It is important that indoor activity and activities at a close distance, such as reading and screen use are balanced with plenty of outdoor activity with a long working distance. It is recommended that children spend at least 90 minutes a day of outdoor activity looking at far distances – think football, netball, walking, cycling. Also encourage your children not to hold near objects – such as books and screens – too close. Orthokeratology, or Ortho-K is proven to reduce the rate of progression of myopia in children. 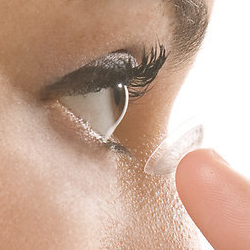 Ortho-k involves wearing a special contact lens, a EyeDream contact lens, overnight. On waking, you remove the contact lens and have clear vision, without the use of glasses or contact lenses, throughout the day. The ortho-k lens works by gently altering the shape of the cornea, the front of the eye, to correct short sight. The effects are fully reversible, safe and suitable for children. They are suitable for prescriptions up to -6.00D and can reduce the progression of short sight by 50%. Coopervision MiSight contact lenses are proven to slow the rate of progression of myopia in children by an average of 60%. They are a soft, comfortable contact lens that is worn throughout the day, to correct vision and reduce progression of short sight. They are ideally worn for 6 days a week, 10+ hours a day to maximise their effectiveness. They work by ActivControl technology – the lenses have zones within the lens of defocus. These areas of defocus go unnoticed by the wearer who still gets clear, comfortable vision. These myopic defocus areas work to stop the eye from lengthening and therefore stop the eye becoming more short sighted. 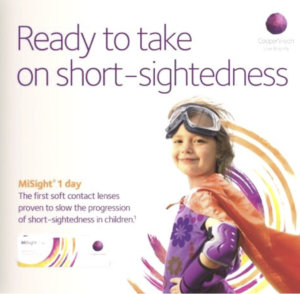 MiSight contact lenses are suitable for children aged over 7-8 and up to -6.00D myopia. This option should be used only if MiSight contact lenses or Orthokeratology is not suitable or available. This option gives a child clear and comfortable vision in spectacles. The varifocal spectacle lenses work by including areas of defocus at the edges, combined with relaxing the focus of the eyes for close up vision, to reduce progression of myopia. Bifocal lenses relax the focus of the eyes for close up vision and the research states that bifocals (specifically an E-line type bifocal) are more effective than varifocals at reducing progression of myopia in children. However, varifocal and bifocal spectacle lenses are seen as a better option than standard single vision spectacle lenses for reducing the rate of myopia, BUT their efficiency is far less and more unpredictable than MiSight or Orthok lens options. At this time, ortho-k andMiSight contact lenses are the 1st choice for slowing myopia in children. 5. Have regular eye checks – it’s really important that short sighted children have the correct and full prescription. Leaving myopic children without spectacles or wearing spectacles that are not strong enough has been proven to speed up the progression of their short sightedness. 6. Wear Ortho-K EyeDream lenses. These lenses can reduce the progression of short sight by 50%. 7. Wear Coopervision MiSight contact lenses – These contact lenses can reduce the progression of short sight by 60%. 8. Use atropine drops – These drops stop us accommodating (focussing clearly) for our near vision. Currently, they are not common practice in the UK, but are used to control myopia progression in Asia and do have some promising results.